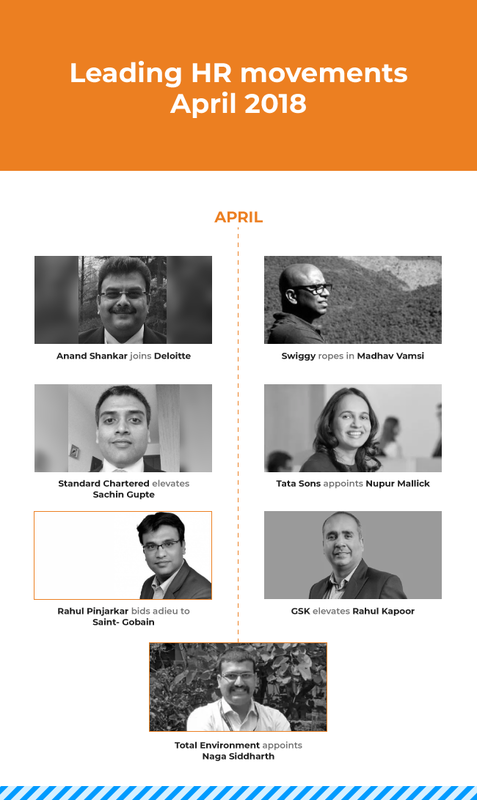 A look at the major HR movements in HR industry across domains. The industry witnesses major movements from companies such as Swiggy, Deloitte, Tata Sons and others. 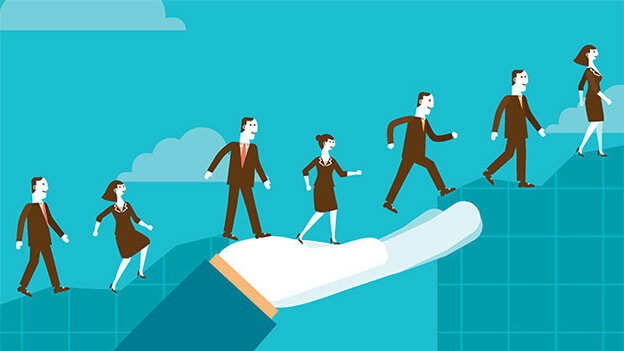 The first month of the financial year 2018-19 can be considered as a mixed bag when it comes to senior HR movements. Commonly, after the end of fiscal year, movements are witnessed, but this month the HR movements were moderate. Anand Shankar- The second working day of the month and Senior strategist and consultant Anand Shankar has joined Deloitte Consulting as Partner & Leader HR Transformation. Shankar is an industry veteran with three decades of experience in various sectors. In his current role, he will operate from Bengaluru and will be reporting to Gaurav Lahiri, Partner & Leader- Human Capital, Deloitte. In his new role, he will continue to build and grow the HR transformation practice for Deloitte in India. Madhav Vamsi- Famous food ordering and delivery platform Swiggy appointed Madhav Vamsi as their Head of Talent & Culture. Before joining Swiggy, he worked with famous brands such as Microsoft, Flipkart, and TCS. Swiggy is on an expansion mode and planning to enter regional cities. Vamsy will be responsible for L&D charter alongside evangelizing technology for overall HR function. Sachin Gupte- Standard Chartered Bank, India, announced the appointment of Sachin Gupte as its new Head of Human Resources. He took over from William Paul who retired after having a stint of almost a decade with the Bank. Before this, Sachin was the Head of Human Resources, Global Banking (GB) and Transaction Banking (TB) at Standard Chartered. Nupur Mallick- In the second week of the month, one of India’s largest conglomerate, Tata Sons announced their new HR Chief. Nupur Mallick who had been part of TCS since 1997 is now set to be the new HR Chief of Tata Sons. With this appointment the Chairman of Tata Sons, N Chandrasekaran further strengthens his leadership team. Rahul Pinjarkar- After working for almost six years with Saint-Gobain, Rahul Pinjarkar, Vice President Human resources stepped down from his role. Pinjarkar joined the Saint-Gobain in July 2012 as Vice President, Human Resources. With over 19 years of experience in different industries, he has gained the ability to align HR strategies in his work profile. Rahul Kapoor- GSK Consumer Healthcare elevates Rahul Kapoor as the EVP HR for India Sub- Continent effective from 1st June 2018. Based in Gurugram, Kapoor will report to Arun Sehgal, Vice President- HR, Asia Pacific and support Navneet Saluja, Managing Director, GSK Consumer Healthcare. He will be a part of the ISC Leadership Team. He will succeed Ongmu Gombu who has been promoted to Vice President, HR Operations Lead, Asia Team. Naga Siddharth- Senior HR leader Naga Siddharth, who was working with food retail chain Spar India, joined the Total Environment Group as Group Chief Human Resource Officer. The Bengaluru based developer is known for building residential and commercial projects. Total Environment consists of more than 800 employees across the country. Siddharth will report to the Founder and Chairman of the company. Note: We have tried to include all the essential movements among the senior HR leaders. If we have missed anyone, please let us know and we would be happy to add it to our list. Also, Read- Major HR movements from January to March 2018.